The mission of PMBA is to provide young athletes with a safe environment that will allow them an opportunity to have fun and make new friends while developing their baseball skills. 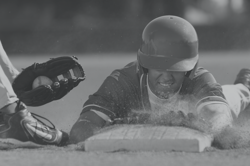 PMBA strives to create experiences that result in a desire to continue with the game of baseball by giving these young athletes a sense of high self-worth that can be gained through organized sport. Spruce Grove Minor Ball (SGMB) and Stony Plain Amateur Minor Ball (SPAMBA) each operated as local minor baseball associations for over 30 years. In 2016, SGMB & SPAMBA formed the Parkland Twins under which the local Rep teams operated. In 2018, SGMB & SPAMBA have joined to form Parkland Minor Ball Association which will operate Rec & Rep teams from Rally Cap to Midget age for players in Spruce Grove, Stony Plain, and Parkland County. Henry Singer has 4 diamonds, 2 batting cages and a full concession. Contact the diamond scheduler for availability. Stony Plain ball diamonds have 4 diamonds and a batting cage. Contact the diamond scheduler for availability.